The Quantock Staghounds. The whipper-in and the huntsman keep the hounds gathered together and separated from the main body of the hunt and their guests. 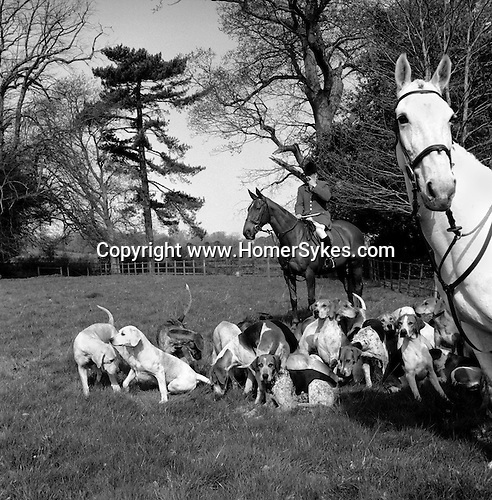 Woodlands, Holeford, Somerset..Hunting with Hounds / Mansion Editions (isbn 0-9542233-1-4) copyright Homer Sykes. +44 (0) 20-8542-7083. < www.mansioneditions.com >.